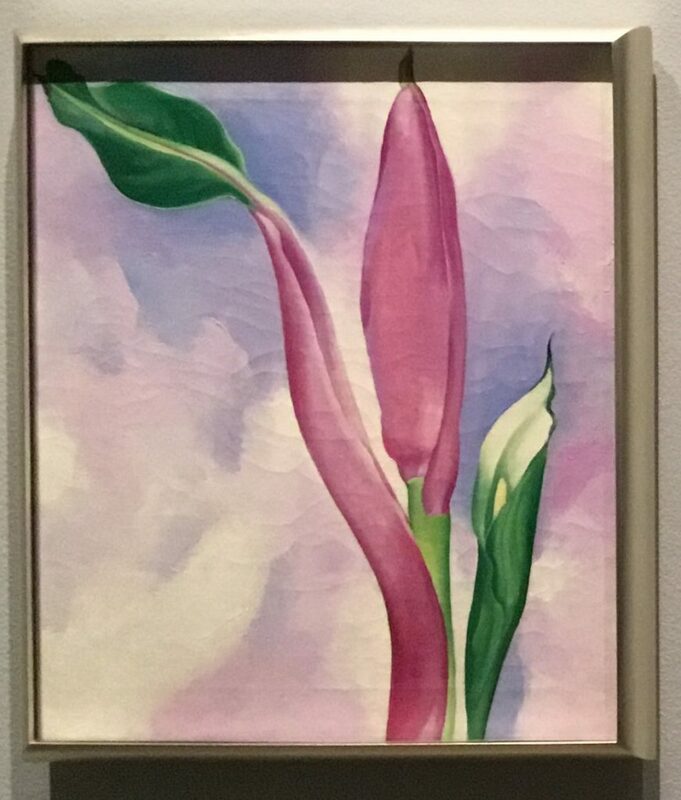 Several days ago, I went to the New York Botanical Garden to see its summer exhibition, Georgia O’Keeffe: Visions of Hawai‘i. It included several paintings I knew nothing about. And, as I soon discovered, from talking with friends and posts on Facebook and Instagram, neither did many other art-lovers. This isn’t all that surprising when you consider that the paintings haven’t been shown (for the most part) in New York since 1940. O’Keeffe, as the exhibition relates, visited Hawaii in 1939, traveling there on a commission from a Hawaiian Pineapple Company. which was planning to use her work in a promotional campaign. 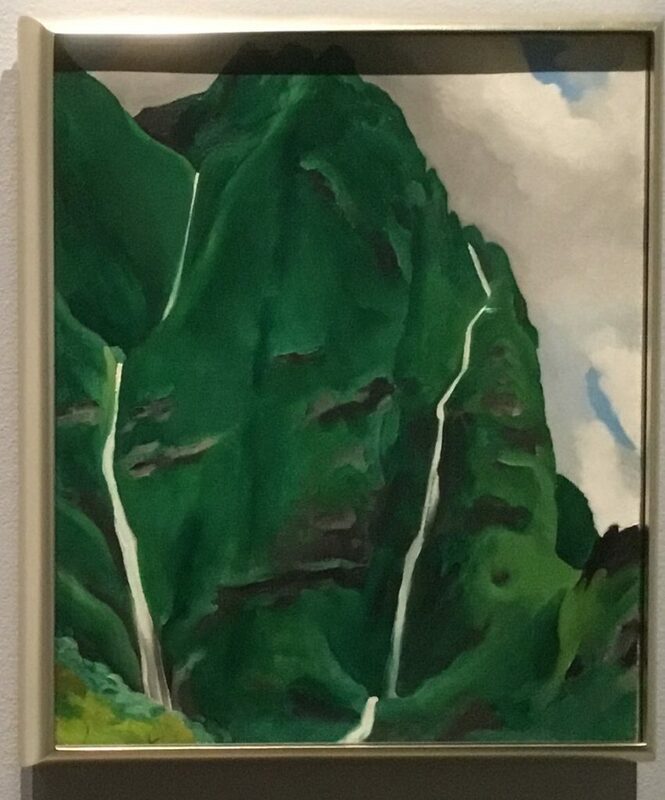 She spent nine weeks on Oahu, Maui, Kauai and the Big Island, making several paintings of mountains, waterfalls, plants and flowers. 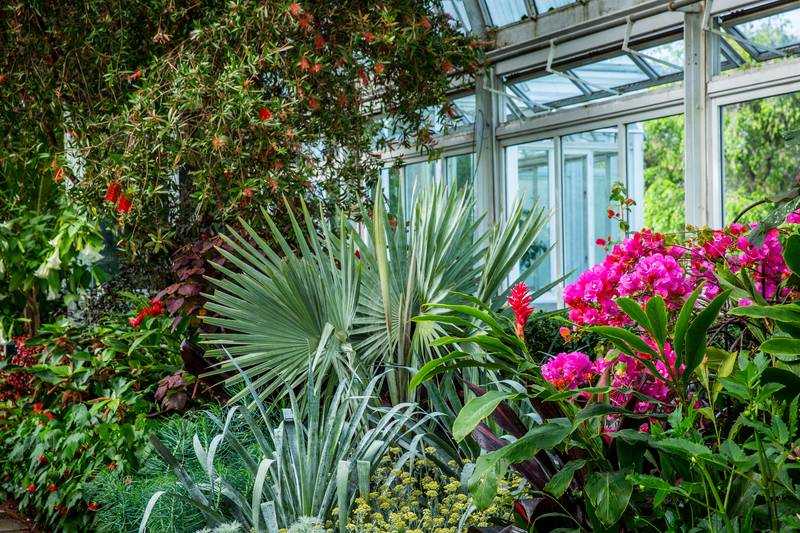 Some are on view through Oct. 28 at the NYBG and, if you’re nearby, worth the trip. However, I must add, this is not a museum show. All told, there’s only a small gallery with perhaps 15 paintings. 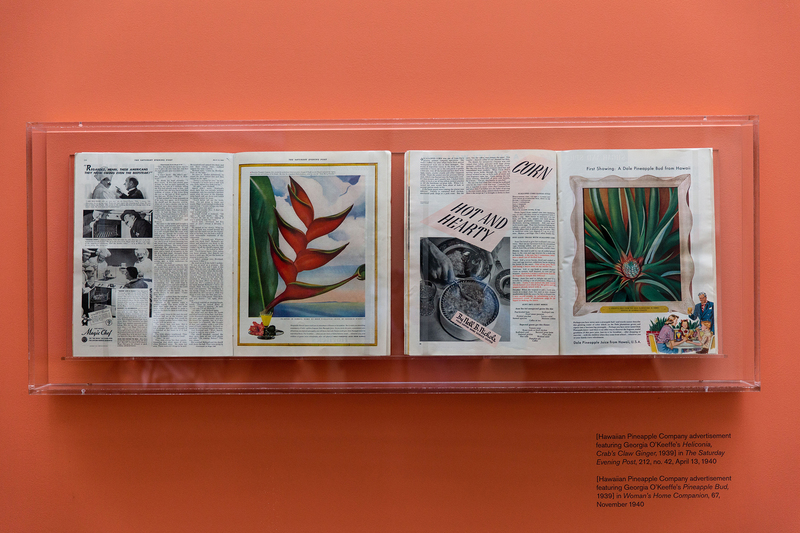 The rest of the show provides information about plants and the Hawaiian ecology, outlines her time there, shows her work in advertisements, and exposes visitors to plants and flowers she might have encountered while in Hawaii. This part, to me, is less successful than the reconstruction of Frida Kahlo’s garden there in 2015, which attracted a record-setting attendance of more than 500,000. 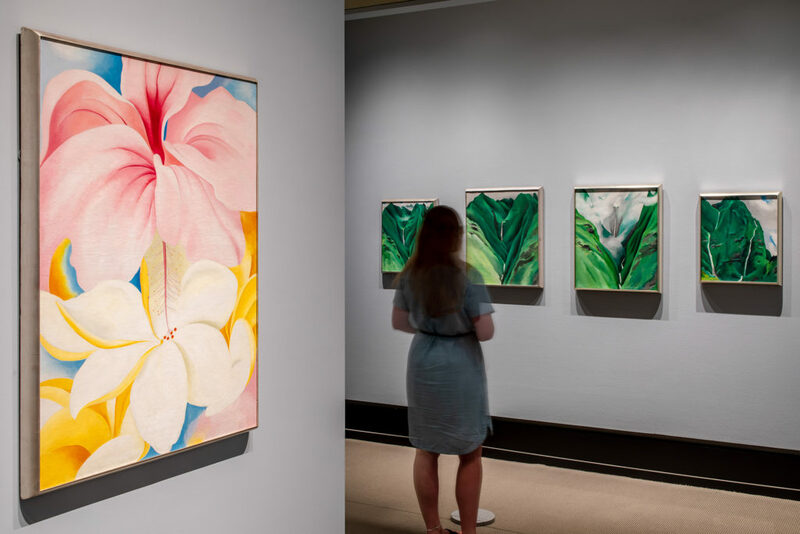 But that’s ok–the reason to go is simply that most of the paintings on view are borrowed from the Honolulu Museum of Art or from private collections. They may not pass this way again anytime soon. I’ve posted two samples (mine photos), and a gallery shot (courtesy of NYBG). These look amazing. Thanks for the caveat about the size of the show. Still worth seeing, if that can happen!